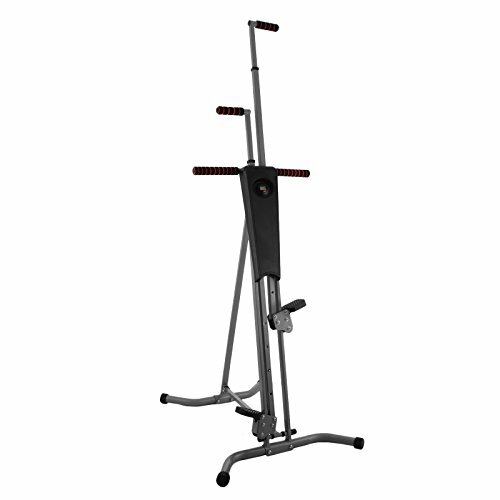 The Vertical Climber simulates natural climber movements to burn calories while strengthening and toning muscles.The climber targets leg muscles, buttocks, arms, and core muscles. This will greatly depend on the intensity of your workout.If you give it a 100% percent intensity and push yourself to the max you will give yourself an awesome full body workout,This exercise climber machine engages all major muscle groups to burn calories and build muscle. 【Natural climbing exercise】Tone and shape muscles and improve your balance to build endurance and strength,keep you in peak physical performance. If you have any questions about this product by Popsport, contact us by completing and submitting the form below. If you are looking for a specif part number, please include it with your message.